What is the point of a wine description from a winemaker? Is it to tell you what you might expect to taste in a wine? What berries are on the nose? What farm animals might be sensed in the mid-palate? Is it to make sure you know what expectations the wine will conform to – the fact that it is indeed a wood-bearing monster Napa cult cab, or a petrol-laden but crystal-pure Mosel? Or is it to convey something of the wine’s soul… the spark of light that lives inside it… the joy it brings to the folks who made it and those they hope will enjoy it? Evening echoes of Curtis Mayfield, Fela Kuti, Del The Funkee Homosapien, Daft Punk – and whoever just put on “Let it Whip” by the Dazz band is a saint! At the end of the night, this is the bottle you will be holding by the neck when you try to pinpoint the time in the evening that the dinner party become a dance party! It isn’t so much a wine description in the typical sense of the term as it is a short story. A poem. A battle cry. A Ken Kesey koan. Does it adequately describe the wine? Well, it manages to tell you practically nothing yet possibly everything about what a bottle of that California mourvedre will do to you. So, yes, it describes it exceedingly well. The words were written by Hardy Wallace, winemaker at Dirty & Rowdy Family Winery, on the topic of the winery’s 2015 California “Familiar Mourvedre. If there were a Pulitzer for wine descriptions, he would deserve one. A James Beard? That, too. Heck, give the guy a Nobel prize because these are words that offer the potential to bring peace to the world and enlightenment to the ages. There is something about the aging, speed freak, Karate choppin’, Elvis – It’s the incredible energy combined with quick circular hand motions, an occasional kick, a bedazzled cape, and a runaway train of a band just burning down the track. It gets you charged and riled up. 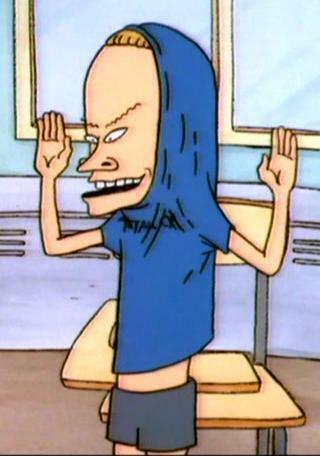 But now imagine something challenging, perhaps a little bizarre, and stankingly awesome (like Glen Velez and Lori Cotler) that transports your inner Cornholio to the same place. This is Savennières. The stony, freak show, of a delicious wine that unapologetically meets more foes than friends. You can see the path, right? From aging, speed freak, Karate chopping’ Elvis to conferring sainthood on whomever it was that elected to play “Let It Whip” alongside a bottle of juicy mourvedre? Yes, Hardy digs pop culture references, especially those of the musical variety, because they convey a lot more than simple sandalwood-this or sous-bois-that. They tap into our collective memories, our joy, our deep down desire for funk. Now the thing is, if it were typical plonk that Hardy was hawking, these exuberant missives would fall ferociously flat. It would be like Trump saying, “I know more about ISIS than the generals do. Believe me.” Absurd. But have you had any of the Dirty & Rowdy wines? Maybe it’s the power of suggestion, maybe it’s the eclectic soil and non-invasive techniques Hardy employs, maybe it’s simply voodoo magic… but they really do live up to Hardy’s crazy beautiful wine descriptions. So when you read that the 2014 Antle Vineyard Mourvèdre, Chalone AVA, Monterey County, offers “chaparral, arid winds, and natural monoliths worshipped by ancient civilizations and avid rock climbers (Antle Vineyard sits less than 1 mile from the entrance of Pinnacles National Park),” you’ll surely get a feeling for where the wine will take you. Of the 2015 Evangelho Vineyard Mourvedre, El Dorado County, Sierra Foothills, Hardy simply quotes The Mighty Clouds of Joy gospel group – “Take a load off your mind, Ride the mighty glory, Listen to my story, Ride the mighty high” before concluding, “this one is pretty good.” And, based on the words and wines of Hardy Wallace, I’m inclined to agree. Give the man a prize.